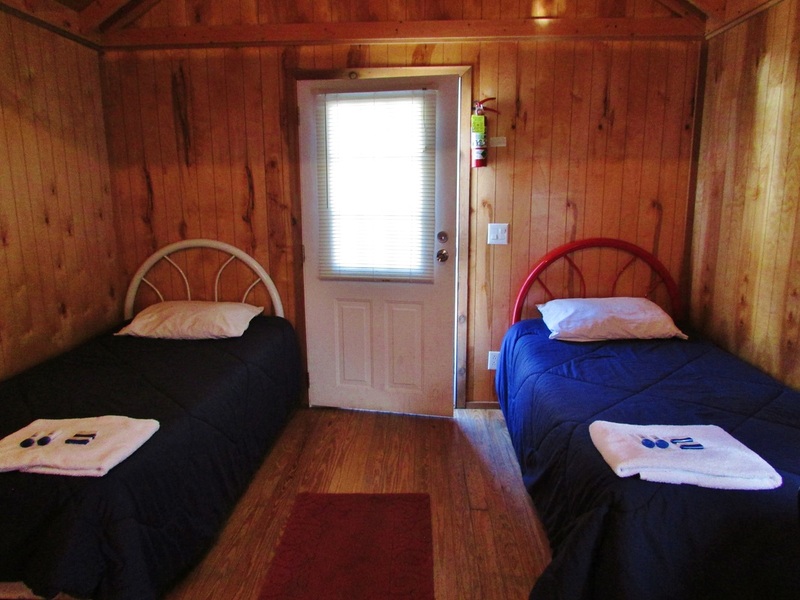 We have 5 cabins available that feature large sleeping quarters, private bath and a kitchenette equipped with a mini-fridge, coffee pot and microwave. 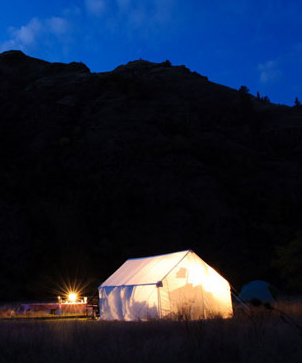 Bedding, Towels, and Complimentary Personal Use Products are provided. Ø Cabins 1 and 2 are each equipped with two twin beds. Ø Cabin 3 is equipped with two twin beds, as well as a double bed. Ø Cabins 4 and 5 are each equipped with two twin size bunk beds, allowing four people to bunk together! Ø Rollaway beds are available upon request. 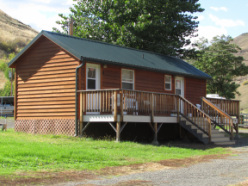 Spacious and comfortable, our Doublewide features five separate bedrooms, living room, dining room, full kitchen, two baths, and laundry facilities. Cable TV and phone are also additional features to this space. Rent by the room, or occupy the entire Doublewide for a flat rate! 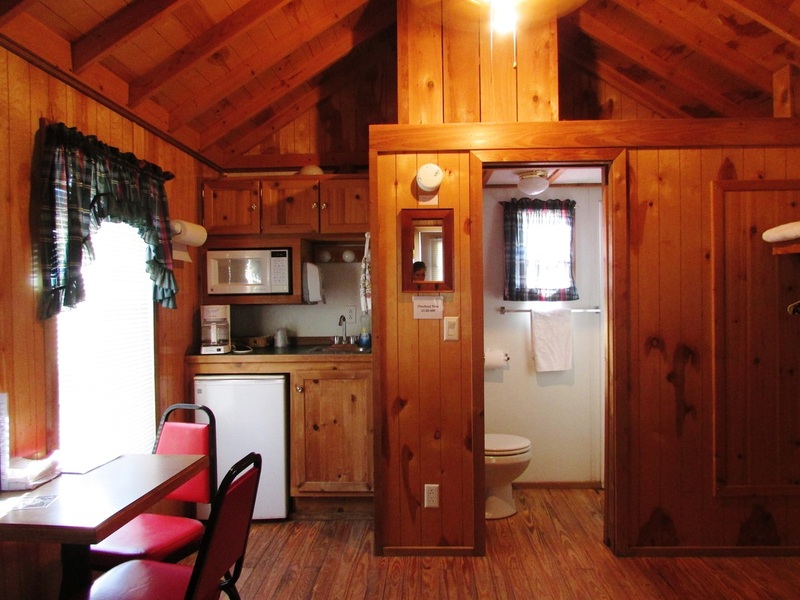 Cabin and Doublewide prices vary depending upon the season. Call for further details and reservations. We have several RV spaces available with electrical hookup only. Call ahead to reserve a space! Sorry, Boggan’s does not provide a camping area. 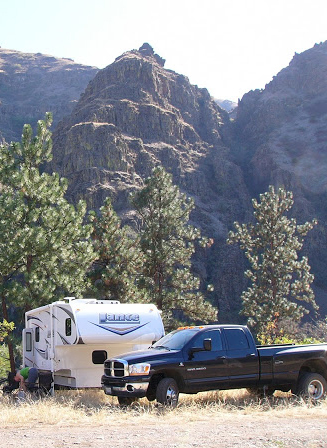 However, there are many choice spots along the river and on Fish & Game property close by!